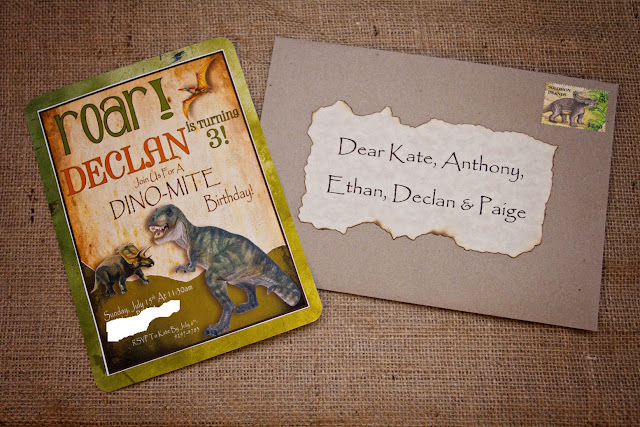 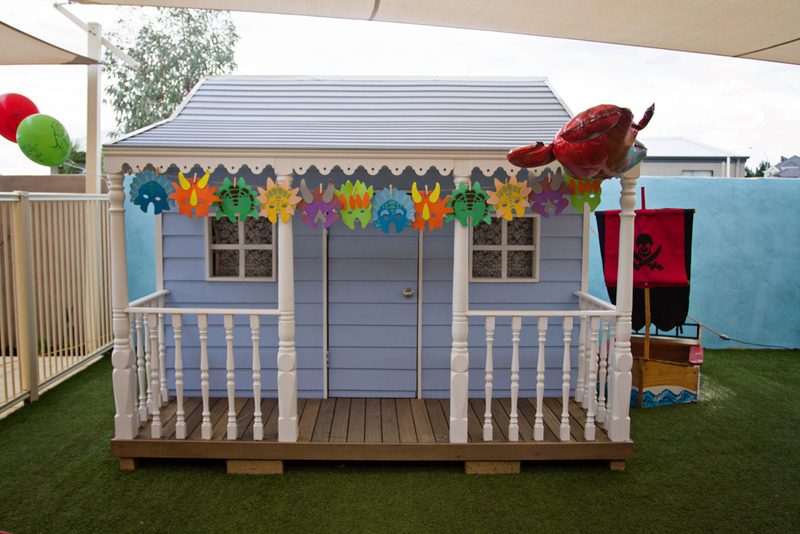 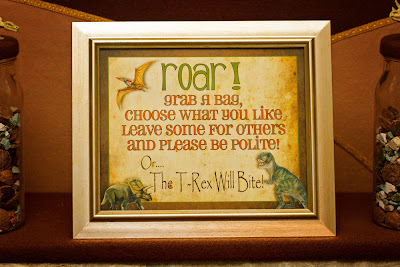 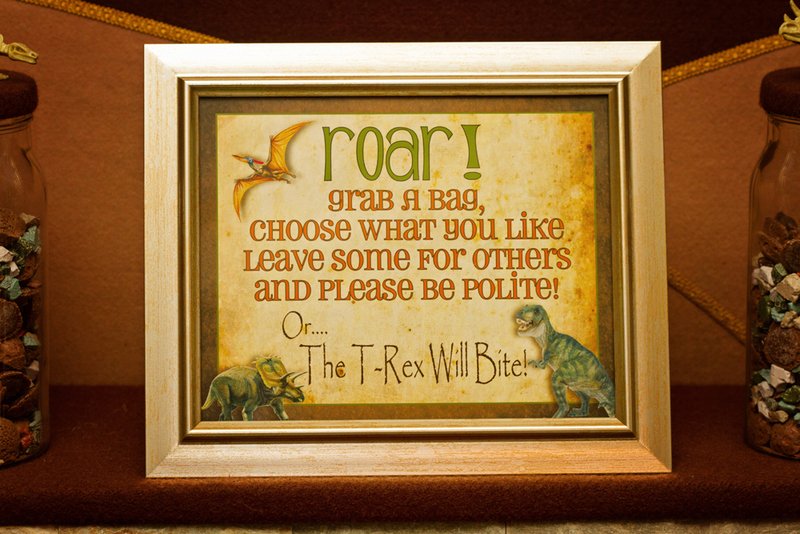 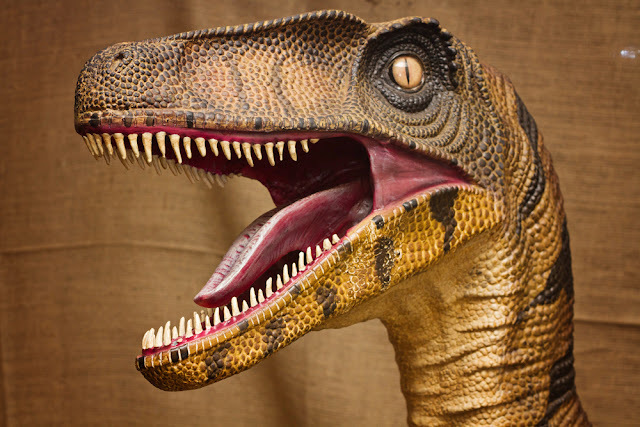 Party Fun for Little Ones: Declan's Dinosaur Roar 3rd Birthday Party! Declan's Dinosaur Roar 3rd Birthday Party! 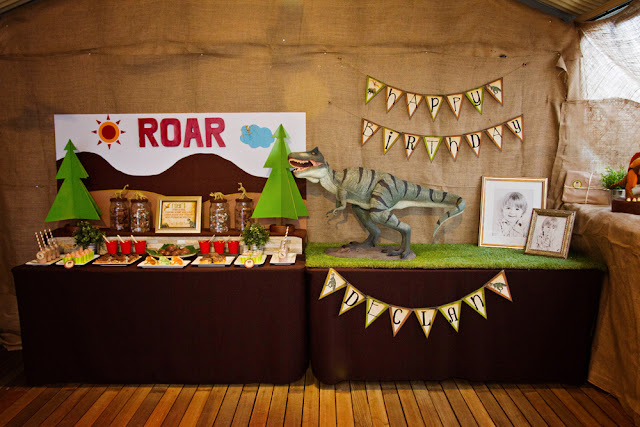 Well it was my little man Declan's 3rd Birthday a couple of weeks ago and this years party theme was Dinosaurs! 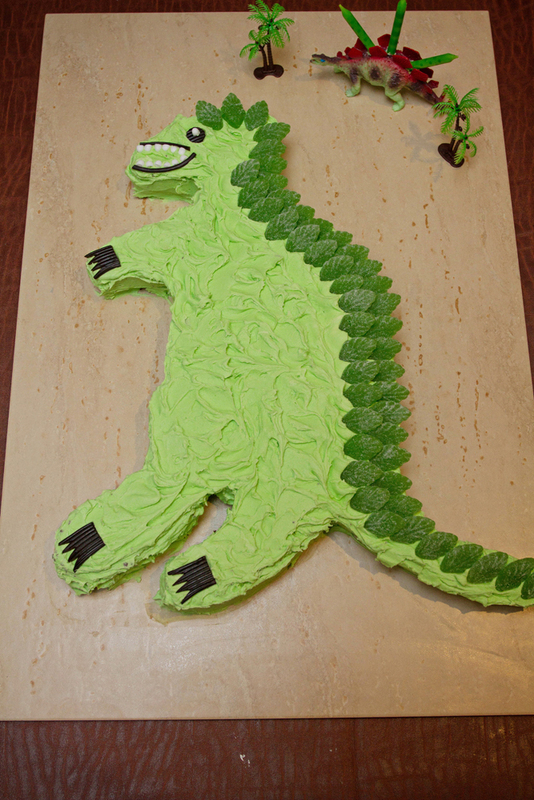 I made all the food & desserts myself this year (scary i know! 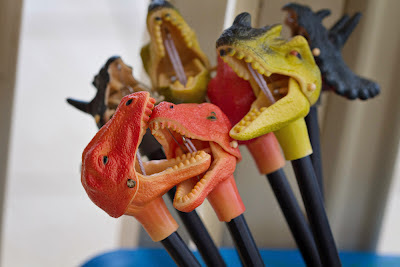 regular readers will know how i feel about cooking, baking especially! ), except the awesome cookies which I had made by Kate's Cookies. 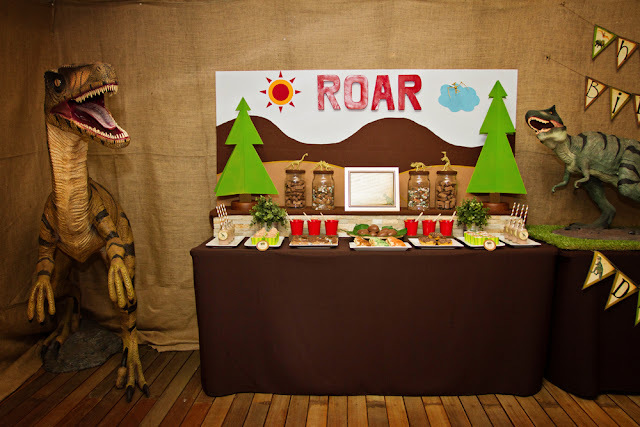 Hubby made the backdrop and props as mentioned above and the rest was all bits and pieces from around the house. 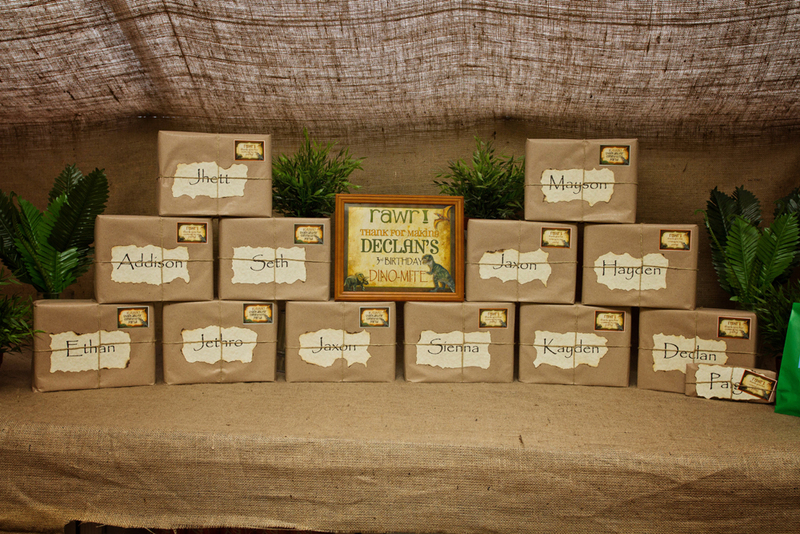 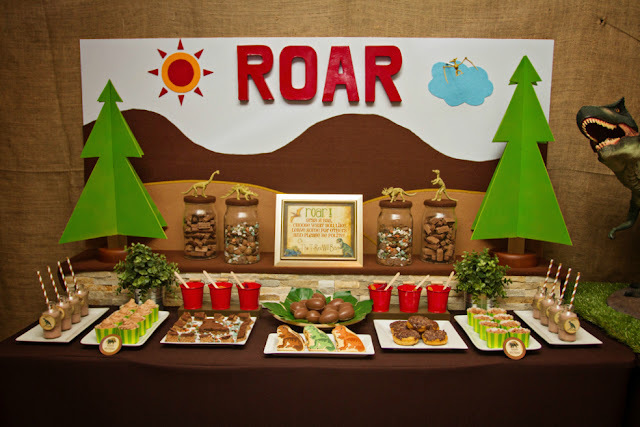 Party supplies from Piece of Cake Parties of course :) and awesome party printables fromWhimsical Printables. The day was wonderful and enjoyed by all and we had such a blast putting this all together. 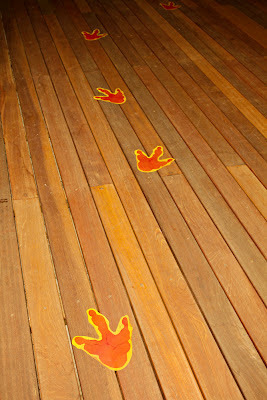 Hope you enjoy the pics! 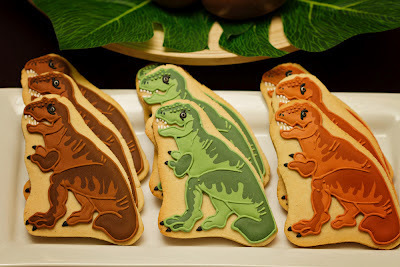 Trex Cookies - the detail on these was amazing and they were so yum! 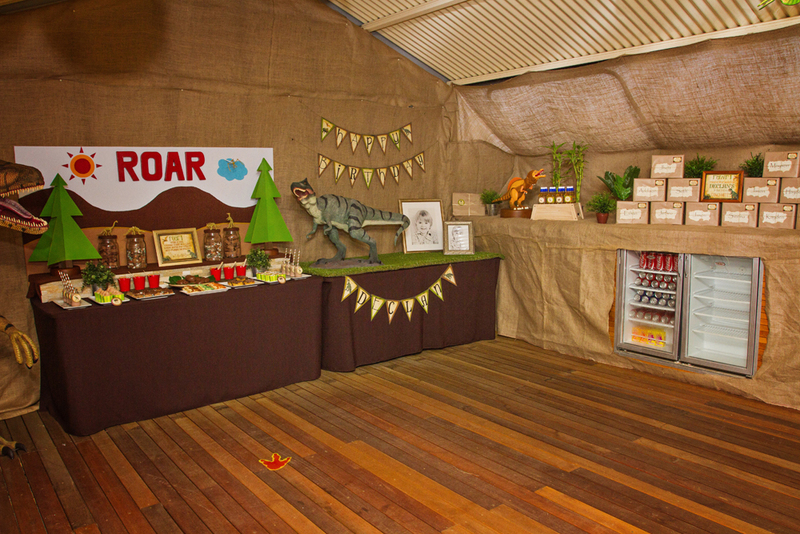 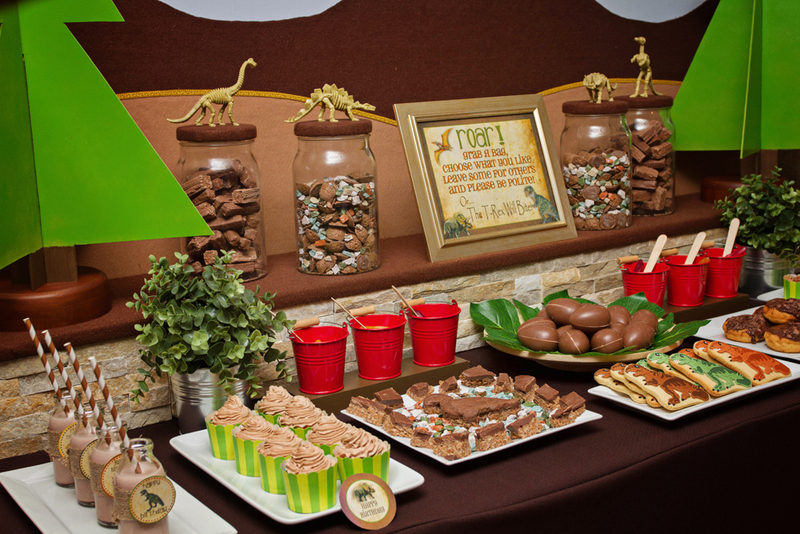 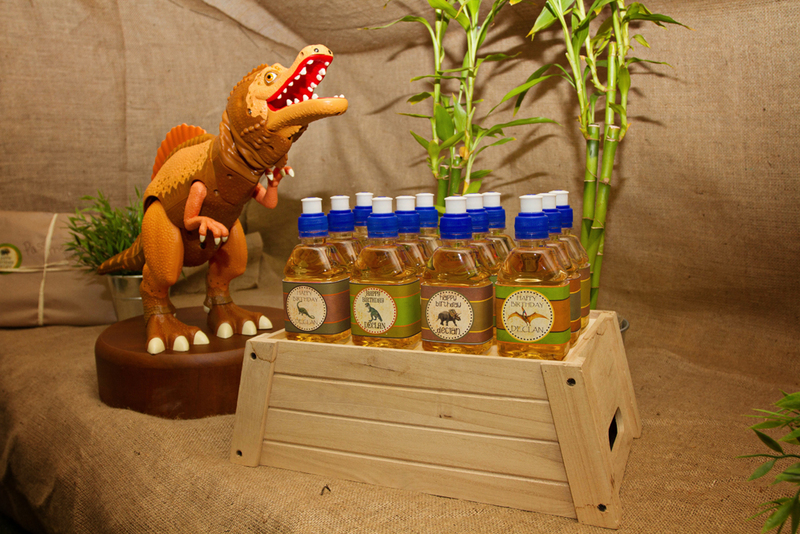 Our Dinosaur Roar Dessert Table! Choc milks, cupcakes, mars bar slice, T Rex Cookies, Donuts, Chocolate Crackles, Chocolate Eggs, Dino Dirts (choc yogo), flakes & twirls, pods & chocolate rocks. 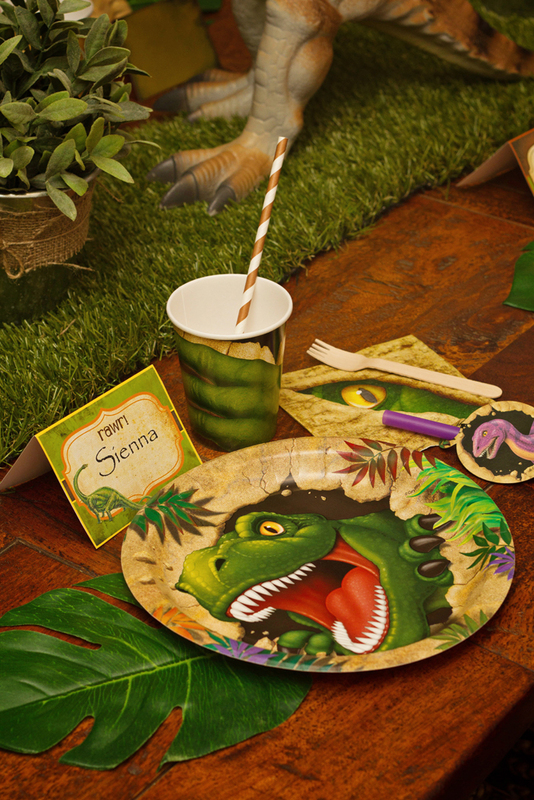 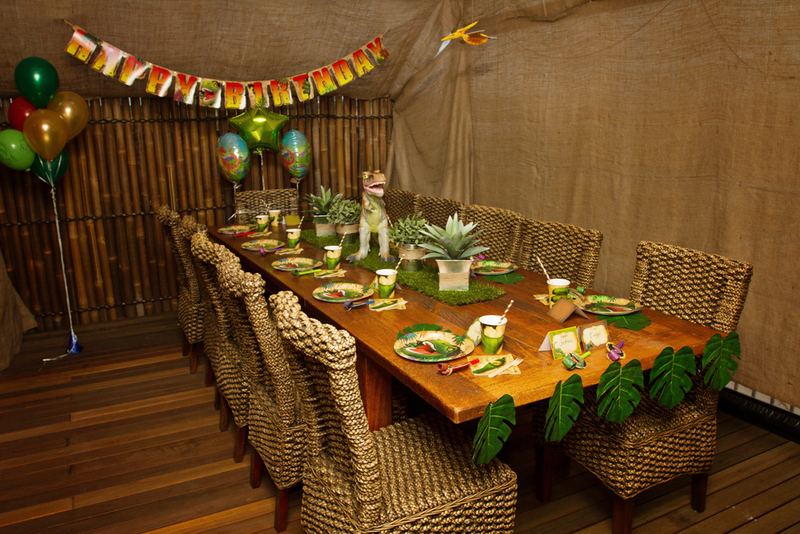 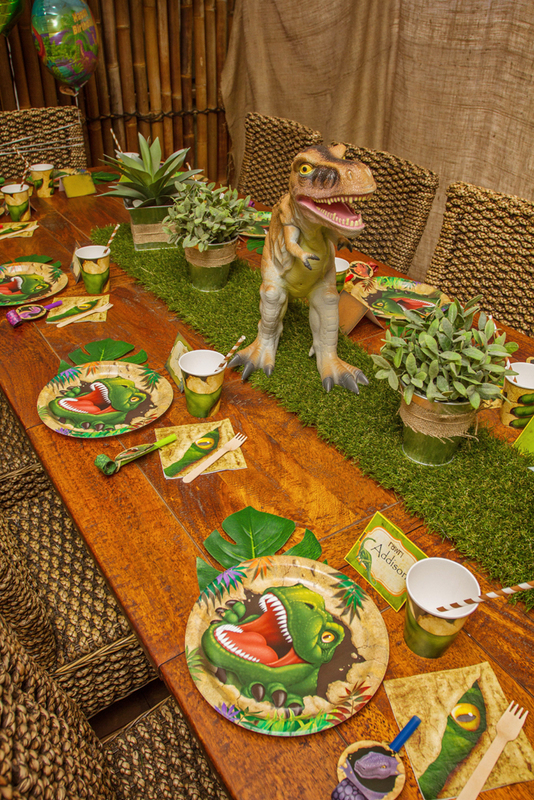 The Kids Table using Piece of Cake Parties awesome Dino Blast Tableware, brown paper straws & Paper Eskimo wooden cutlery. 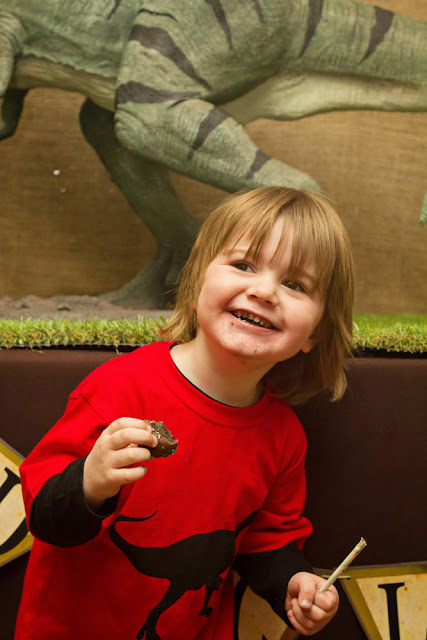 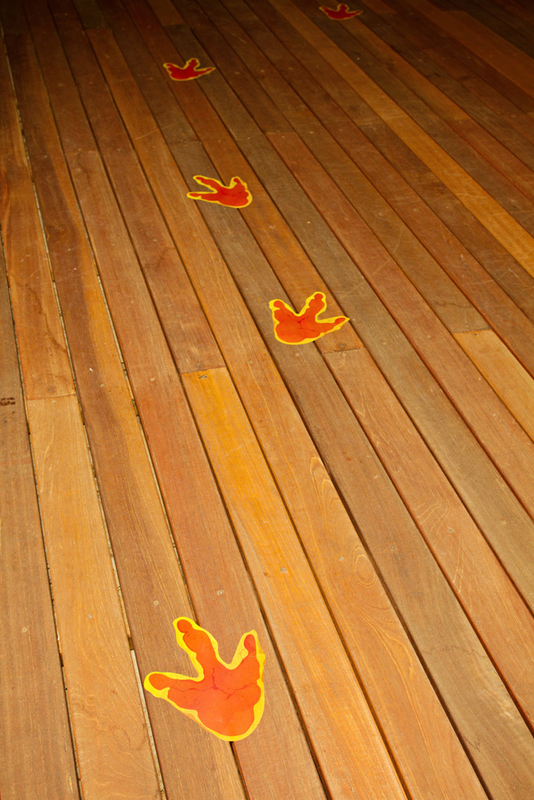 Dinosaur Masks & Dinosaur Grabbers out in the play area. 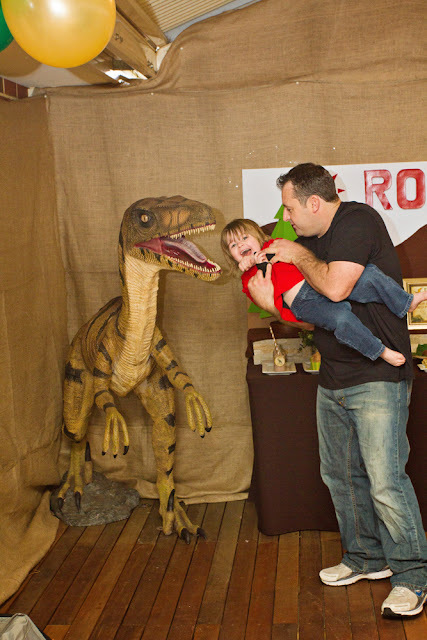 The Birthday Boy being fed to the Raptor! Piece of Cake Parties & Celebrations - Styling, Dino Blast tableware & banner, paper straws, mini milk bottles, leaves, dinosaur figurines, balloons, pterodactyl hanging decorations, baking cups, party box contents, dinosaur masks, dinosaur grabbers, dino footprints, backdrop, green trees on dessert table, table props.